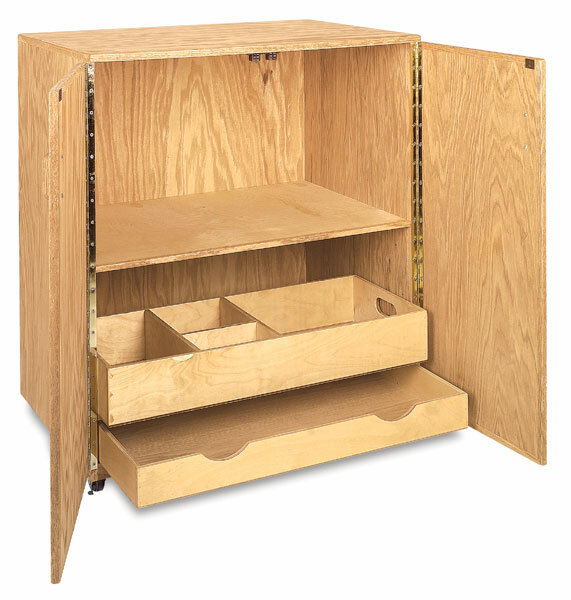 From the makers of Best Easels comes this sturdy oak mobile cart, built to give years of service in the classroom. Its rounded corners are safer for little artists. Design features like craftsman quality joints, heavy-duty piano hinges, and a smooth hand rubbed finish, set this cart apart from the rest. The "Teacher's Favorite" Art Cart comes with casters, two shelves, and two drawers. It measures 36" wide × 25½" deep, with a drawer size of 22" × 34". It ships fully assembled.